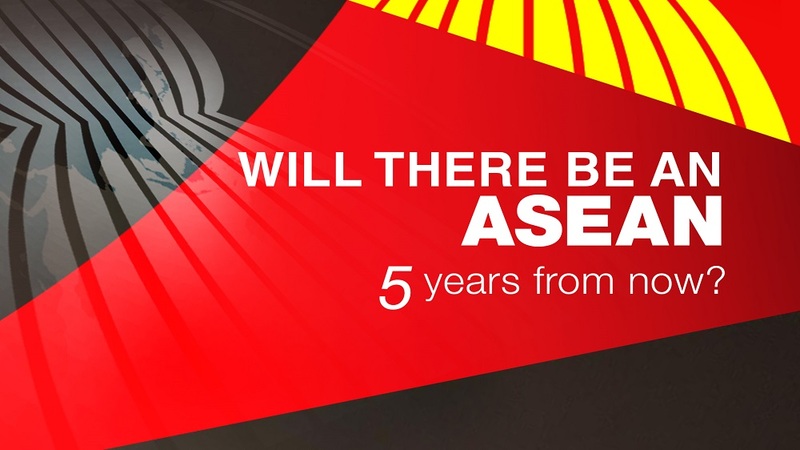 Will There Be an ASEAN 5 Years From Now? The Association of Southeast Asian Nations (ASEAN) formed in 1967 has been one of the major platforms fostering international cooperation among the regional states and external players. Since 1967, the regional and global landscapes have changed significantly. Southeast Asia is now facing several internal and external challenges, such as domestic leadership change and big powers’ dynamics in the region. Moreover, globalisation enables non-state actors to increasingly influence government policies and actions. These bring up a pressing issue of “Who Governs?” Against this backdrop, this session will explore the following questions: (1) What would ASEAN look like in the next 5 years? ; (2) Will there even be ASEAN? ; (3) Will ASEAN be a relevant regional governance institution? ; and (4) What needs to be addressed to make the organisation an effective governing body? Kaewkamol Pitakdumrongkit (Karen) is an Assistant Professor at the Centre for Multilateralism Studies, at S. Rajaratnam School of International Studies (RSIS) of Nanyang Technological University, Singapore. She completed her MA and PhD in Political Science at the University of California, Santa Barbara, U.S.A. Before joining RSIS, Karen assisted Kenan Institute Asia in analysing trade and industry data concerning the impact of the proposed EU-ASEAN Free Trade Agreement on Thailand’s industries. Her research interests include international economic negotiations, East Asian economic governance, relationships between regional and global economic governance, ASEAN Economic Community, and political socialisation. Beside research, Karen teaches a course on the Political Economy of Southeast Asia at the RSIS International Political Economy programme. John Pang is a Senior Fellow at the S. Rajaratnam School of International Studies (RSIS) where he is active at the Centre for Multilateralism Studies. He was the founding CEO of a regional public sector driven think tank dedicated to ASEAN economic integration and of an organisation of ASEAN CEO’S, the ASEAN Business Club. Before this he was a consultant with a global strategy firm and with a London-based strategic intelligence firm. He was Special Advisor to the Minister of Education of Malaysia and has held visiting fellowships at NYU Stern and at the Institute of Strategic and International Studies, Malaysia. He is a member and former chair of the Global Agenda Council for Southeast Asia of the World Economic Forum. Mr Pang pursued research in the philosophy of economics and in the philosophy and anthropology of religion at the London School of Economics and at Stanford University. He was born in Malaysia and educated in Singapore. Sanchita Basu Das is an ISEAS Fellow, and holds concurrent duties as the coordinator of the Singapore APEC Study Centre and co-editor of Journal of Southeast Asian Economies (formerly the ASEAN Economic Bulletin). Prior to joining the Institute in 2005, she was an economist in the private sector involved in infrastructure consulting, manufacturing and banking. Sanchita holds an MBA from the National University of Singapore (NUS), and an MA from the Delhi School of Economics (under University of Delhi), India. She is currently pursuing her doctorate in International Political Economy at the Nanyang Technological University (NTU), Singapore. Sanchita has authored and edited numerous books and book chapters, policy papers and opinion articles. Her research interests include – economic regionalism in ASEAN and the Asia-Pacific Region; international trade; and economic development issues like connectivity. Shanti Shamdasani is known for her in-depth expertise on ASEAN matters with focus on international trade and political analysis. Her vision on ASEAN started in 2005 where she tirelessly brings the ASEAN debate at various local and international stages. Her highest position was when she was appointed as Advisor to the President of Indonesia, H. E. Susilo Bambang Yudhoyono on ASEAN matters. Ms. Shamdasani also works closely with Ministry of Trade, Ministry of Industry and Ministry of Foreign Affairs on several trade negotiations with India, China, Australia and New Zealand. Her current role continue to reflect her passion and long term vision on policy, legal, trade and political framework in the region; she is the President of ASEAN International Advocacy and sits at the Boards of several Associations as Governors, Advisors and Commissioners. During her most recent 4 years; Ms. Shamdasani fed her insatiable interest in international diplomacy in emerging markets and furthered it into the ASEAN directives. She continues to engage with thought leaders and high ranking decision makers on policy front. Her strength includes shaping policies and few of her wins are the country level and ASEAN banking & tax regulations, the halal law, inceptions of the Presidential Decree on foreign movement of skilled labors, and various others. Ms. Shamdasani has spent close to 18 years of her professional life in executive management roles (in Corporate/ Government/ Policy/ Industry/ Public Affairs) with Fortune 500 multinational companies mostly in healthcare sector, including 10 years with Pfizer Indonesia & India, and 3 years with Monsanto holding ASEAN regional responsibilities. She also worked for the US-ASEAN Business Council as Country Manager for Indonesia & catered to companies such as GE, ExxonMobil, Freeport, Caterpillar, Merck, Pfizer, Johnson & Johnson, P&G, Syngenta, Fedex, and HP­ on policy & business development matters. Ms. Shamdasani is currently pursuing her Doctorate of Law degree at the University of UPH in Indonesia; she is a regular speaker at local and international forums and is an expert consultant at Forbes magazine on healthcare issues. Ms. Shamdasani have worked and lived in India, US, China, Singapore and Indonesia.